World Para Dance Sport is an elegant, graceful and stylish sport for athletes with impairments to their lower limbs. Participants can compete in ‘combi’ style, dancing with an able-bodied (standing) partner, or duo dance for two wheelchair users. Single dance is for a wheelchair user dancing alone. Since 1998 the sport has been governed by the IPC (International Paralympic Committee). It has been coordinated by the IPC Wheelchair DanceSport Technical Committee, which incorporates the rules of the International DanceSport Federation (IDSF). The sport is not part of the summer Paralympic Games sports program. In recent years the sport has benefited from the screening of popular dance-based TV shows such as ‘Strictly Come Dancing’ and ‘Dancing with the Stars’. Today the sport is in 19 countries, with the last World Championships held in Belgium in 2017. On February 21 this year DanceSport Victoria, in conjunction with Dance & Roll Para Dance Association, conducted a ‘Come & Try Day’ at The Royal Talbot Rehabilitation Centre in Kew. The response was outstanding, and it was well-supported by former Australian championship coaches. The coaches said they will spread the word in their studios. Participants reported they enjoyed themselves. By the end of the session, everyone was interacting and pleased they attended. 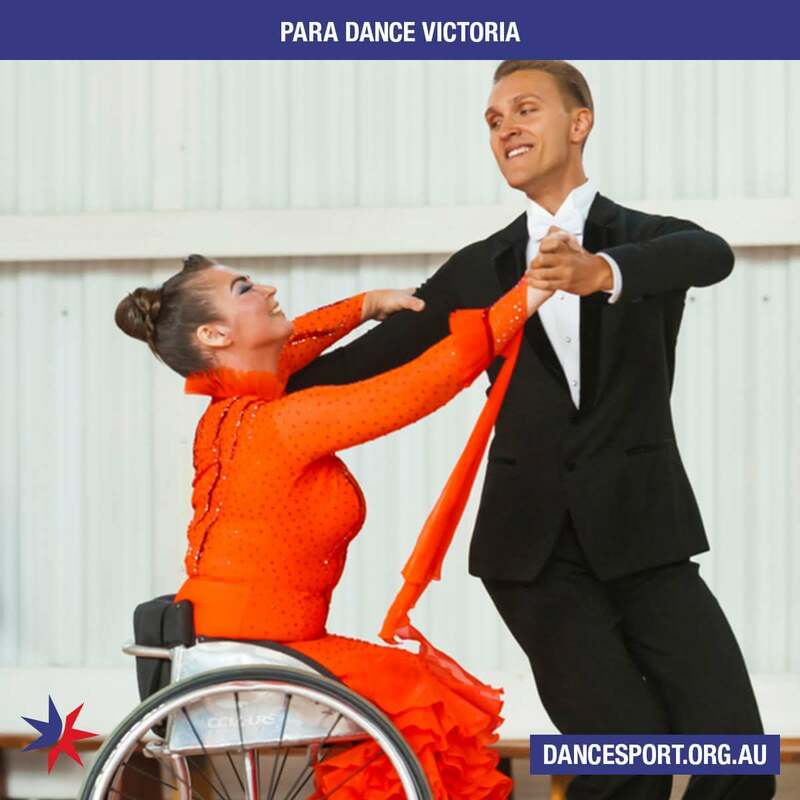 Para Dance is contributing to the all-inclusive programs of DanceSport Victoria and DanceSport Australia. DanceSport Australia is rolling this program out across Australia under the guidance of Judy Williams who was initially instrumental in bringing Para Dance to Australia through DanceSport Western Australia. Judy is Chair of DanceSport WA. At the Australian Championships in Melbourne last December, Judy organised a demonstration from the Para Dance World Champions. This received a standing ovation from the audience.